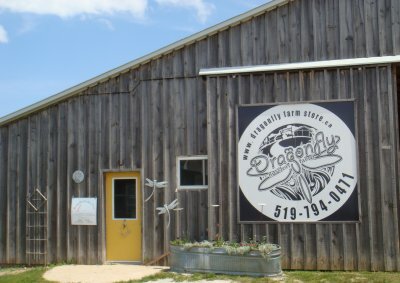 Dragonfly Farm Store No ratings yet. The Farm Store is fully stocked with over 130 cuts of beef, pork and chicken. From May to December you can also purchase Lamb, in the fall we have Rabbit, Duck, Turkey and Bison too. All year long, we feature a great selection of locally made preserves, BBQ sauces, beeswax candles, handmade soaps, handmade crafts and kitchen accessories. We operate our farm using sustainable, ecological, humane and organic farm practices and principals. Raising a variety of animals, respectfully and environmentally on our 70 acres of land.